When teachers wonder “What should I do?” in response to challenging student behaviors, the answers are not as simple as they might seem. 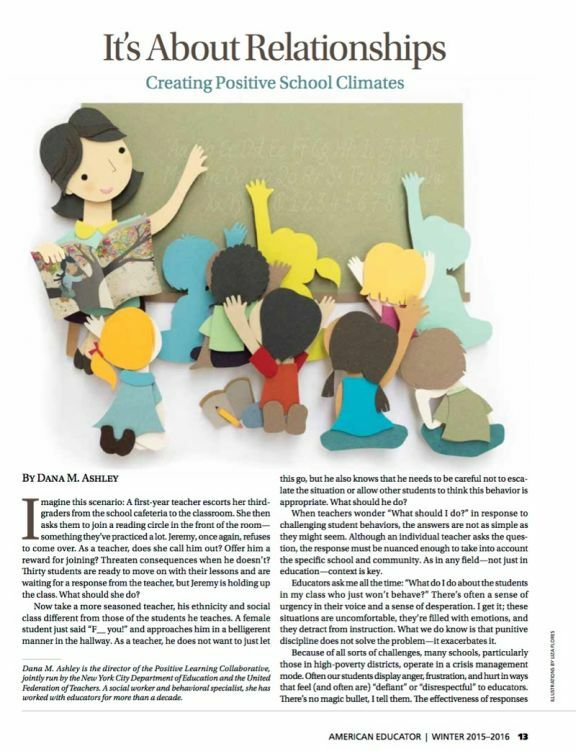 What teachers can do also depends, at least in part, on external demands (e.g., discipline codes, principal expectations, time pressures on teaching content and testing) that can either facilitate or thwart positive resolutions of conflicts. The most effective teachers in working with challenging students had very positive relationships with them. For years, many school districts have provided training or support around positive discipline but with little evidence of improving the culture of punishment that pervades many New York City schools. This author found that most educators were not directly trained in the strategies their schools were trying to implement. Positive Behavioral Interventions and Supports (PBIS) is a tiered framework of positive behavior systems in a school. Success depends on having clear expectations that are taught, rehearsed, and reinforced consistently across settings. In spring 2012, The Atlantic Philanthropies awarded a three-year, $300,000 grant to the consortium that helped cover start-up costs, technology, and professional development. With this grant, the consortium has sought to support schools regarding student behavior. This was the beginning of what would become the Positive Learning Collaborative (PLC), an initiative jointly run by the United Federation of Teachers and the New York City Department of Education to help educators create positive school environments. The Positive Learning Collaborative (PLC) is a holistic approach that focuses on teaching reflective and restorative practices and was implemented in the New York City school system. To that end, educators are coached to be mindful of their own internal dialogue and to teach students coping skills to deal with feelings such as anger and frustration.